C1628. DESIRE-EMILE INGHELBRECHT Cond. RTF S.O. 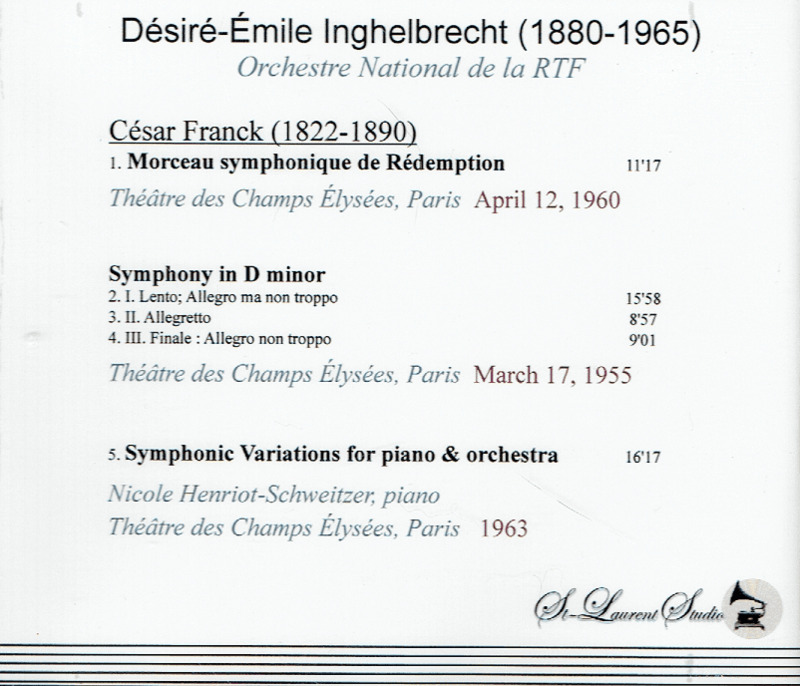 : Morceau symphonique de Rédemption; Symphony in d; w.Nicole Henriot-Schweitzer: Variations symphoniques (all Franck). (Canada) St Laurent Studio YSL T-561, Live Performances, 1955-63, all Theatre des Champs Elysees, Paris. Transfers by Yves St Laurent. 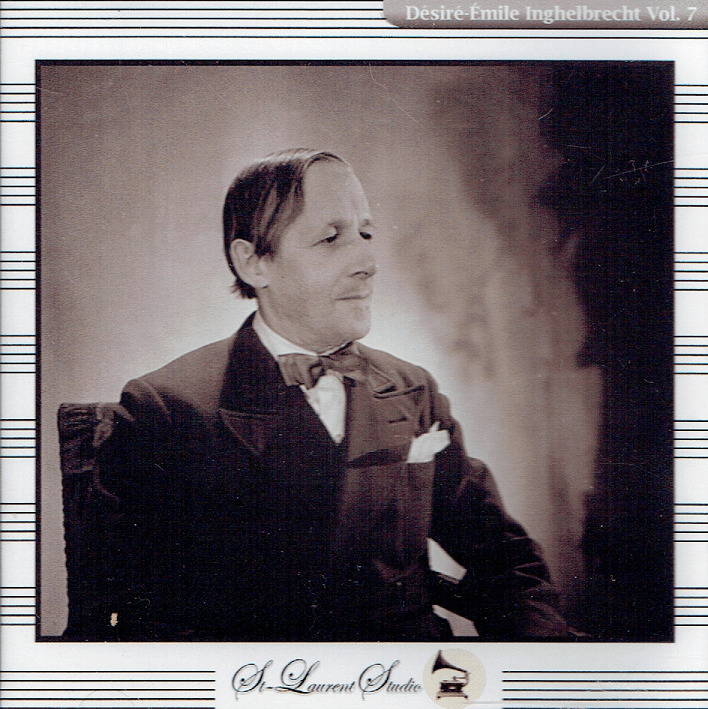 "Nicole Henriot-Schweitzer studied music at the Conservatoire de Paris in the class of Marguerite Long. She married Vice-Admiral Jean-Jacques Schweitzer, former Major General of the Navy, also one of the nephews of the theologian Albert Schweitzer and the uncle of the officer Louis Schweitzer. 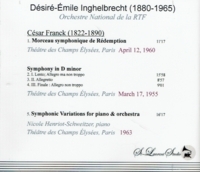 The conductors Fritz and Charles Munch were her uncles by marriage, and she was a frequent soloist under Munch during his Boston years with the Boston Symphony Orchestra. In 1970 she became a piano teacher at the conservatories of Liège and then Brussels. It's difficult to articulate what makes Munch's conducting special - or indeed if there even is anything identifiably unique about it. A lesser talent would simply turn out generic, cookie-cutter performances; but Munch was anything but generic. He was one of the most musical of conductors; in so many of his performances, everything simply sounds 'right'. Certainly, his experience as an orchestral musician gave him a lot of practical insight into the mechanics of directing orchestra traffic. But a classic Munch interpretation never sounds calculated. Spontaneity was one of his hallmarks, sometimes to the surprise and discomfort of the musicians playing under him. From one night to the next, a Munch performance of the same piece might be very different, depending on his mood of the moment - yet it would always sound like Munch."